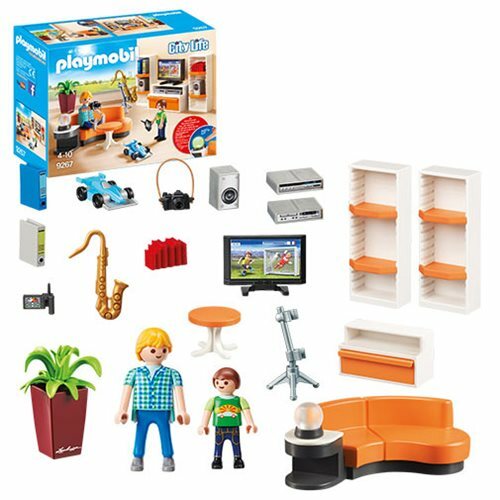 Check out the Playmobil Living Room! With sofa and sideboard for the flatscreen TV and stereo system, it's sure to make any play house a home. The table lamp lights up either white or with an alternating color effect. Batteries not included. Includes book cases, sofa, table, 2 figures, plant, saxaphone, and more. Ages 4 and up.